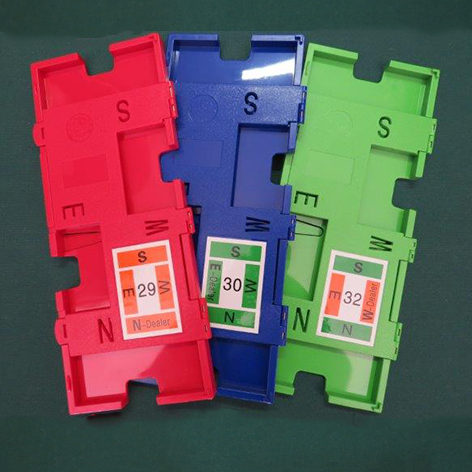 Soft PVC Wallets are available in 3 colours: green, red and blue and are available in sets of 1 -8, 1-12, 1-24 and 1-32. (Cards not included.) Hard PVC Boards for Bridge Clubs using Autodealing Machines are available in a new design – the N, S, E & W are cut out on the board and therefore clearly marked to prevent mishaps. 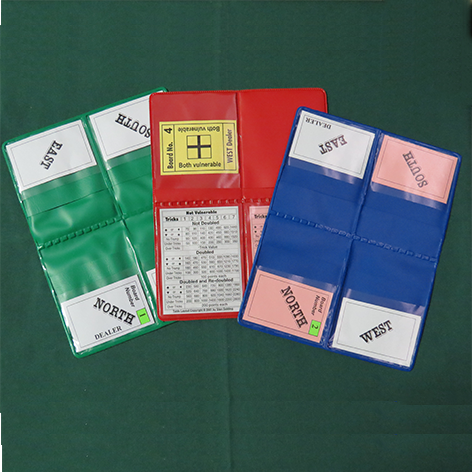 These hard boards take the narrow bridge card only and are available in green, red and blue in sets of 1-24 and 1-32.